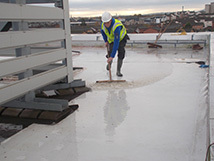 Welcome to Edinburgh Roofing Services (UK) Ltd.
Edinburgh Roofing Services are Edinburgh & the Lothian's recommended roof maintenance contractors. We have been in the roofing & building industry for over 20 years providing customers with a full range of roofing services from flat roofs, traditional roofing and single ply rubber roofing to complete new roof renovations. 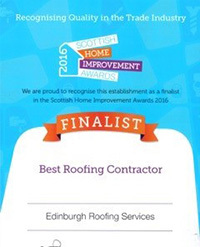 When you are looking for a roofing contractor who can be trusted to carry out any work to the highest standards from start to completion, Edinburgh Roofing Services are proud to be a Which? Trusted Trader. 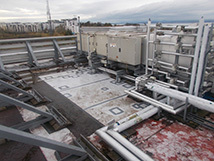 We achieved our prestigious reputation as one of Scotland's premier roofing companies who always completes the job on time, to the highest standards possible, with the best materials supplied and to within the client's estimated budget. 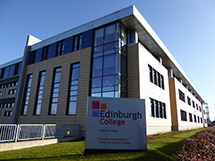 Edinburgh Roofing Services work daily throughout the city dealing with customers ranging from private homeowners, to big businesses and large housing associations. Roofers employed by us are all very highly trained at the work they carry out and have many years of experience in using their expert skills on any project regardless of size or complexity. Specialists in all aspects of roof work, we are trained to deal with all roofing systems including; Flat Roofs, Traditional Roofing, Single Ply Roof Systems, Stone Masonry and Lead & Zinc works. 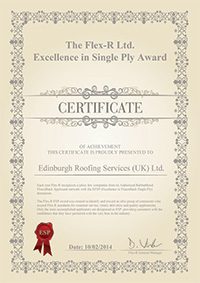 Edinburgh Roofing Services provide an emergency roof repair service to customers 24/7 all year round. We welcome all work regardless of size or complexity from small minor repairs including broken roof slates, tiles or guttering to emergency roofing problems requiring urgent attention, roof restoration projects to new roofing installations. Our roofers have a vast working knowledge of all roof systems and employ their expert skills on every project, working to the highest industry standards possible to give customers the reassurance and peace of mind that all work will be finished to their complete satisfaction. Edinburgh Roofing Services provide their customers with a careful review of all the technical specifications of work needing carried out and give due consideration first and foremost to the client's priorities, whether they are performance, budgetary or aesthetic. 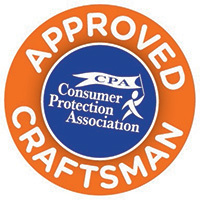 Any work done by us is fully covered by an insurance backed guarantee system. 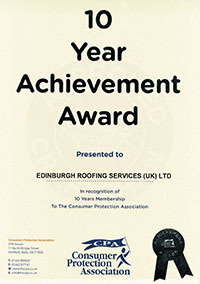 Thank you for choosing to visit Edinburgh Roofing Services. For further information and advice, please contact us with your requirements.